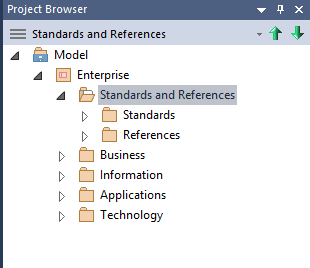 Then use Enterprise Architect's Model Wizard to generate a basic template for this Technique. In this section you will add a simple model template covering one BABOK Technique. You will add this to the structure you created above, ready for you to add your own details. 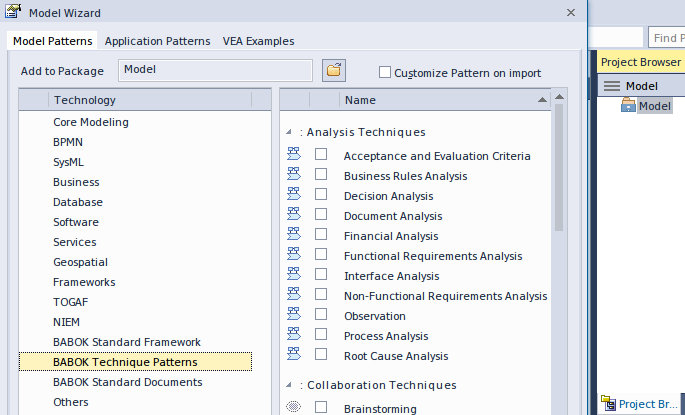 In this exercise you create a model covering the BABOK 3.1 - Plan Business Analysis. 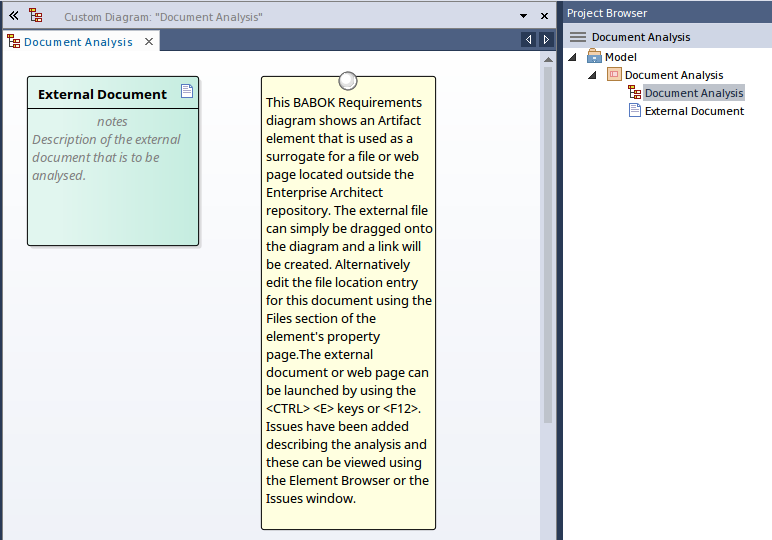 The BABOK Technique you want to implement is the Document Analysis technique. This will start the download process and create a package under the currently selected package. 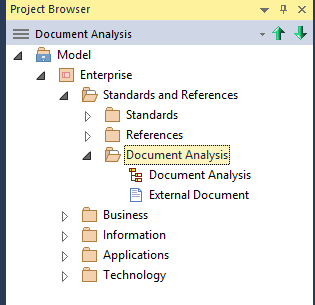 Select the Document Analysis diagram from the model. The diagram gives reference to using a document. As there are a number of methods you can use to import or connect to a external document, we will cover several popular options in the 'Using Documents' tutorial.